Looking for the perfect parents gifts? Oh, this laser made wooded heart keychain is totally Adorable! A Mother is a Son's first Love and a Daughter's first Friend. 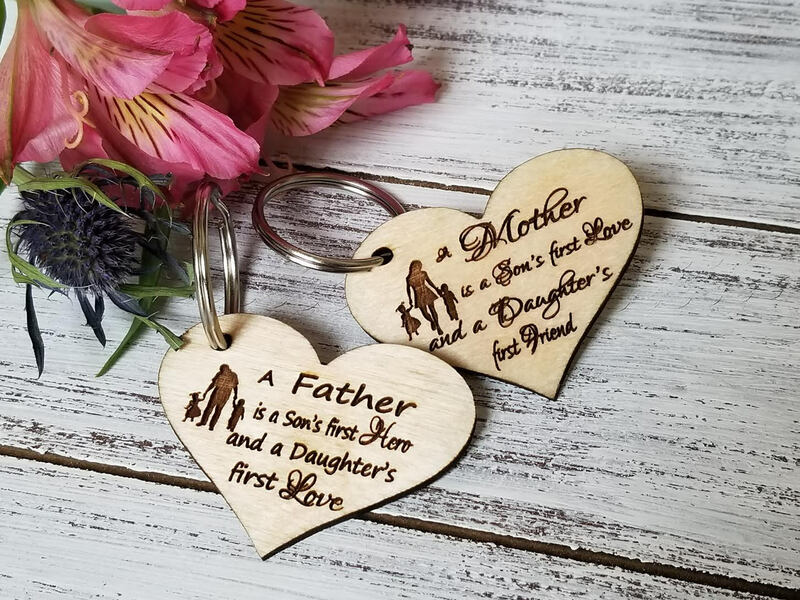 Custom engraved with your choice of words would make a perfect gift for the greatest parents in the world. Each key chain can be engraved for boys or girls only. On the back side we can engrave the children's names. Size: 2.27" x 2.17 "
Each keychain will come nicely gift wrapped.